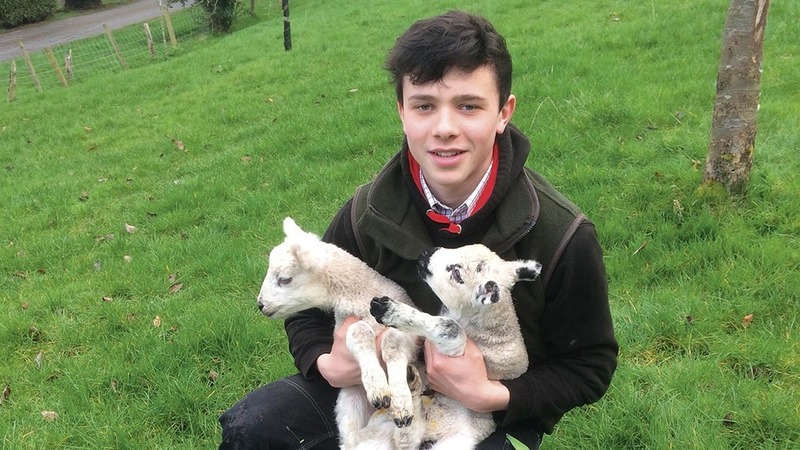 Charlie Gardiner, 15, helps his uncle and grandparents at their sheep and arable farms in his school holidays. He hopes to go to agricultural university before buying a farm of his own. Family farm: My dream is to become a farmer and it always has been. I am looking to go to an agricultural university to develop further skills and then I hope to get a job on a farm nearby, or even better buy my own farm with sheep and arable land. I currently spend my weeks at Cheltenham College, which unfortunately does not do agriculture as a subject as I feel there is a lack of people at my school who have any interest in farming at all. But I am lucky enough to have many family relatives in farming and when I was younger I often spent a long time sitting on the tractors with my grandfather. It was then that I started to realise how much I liked it. I then went on to buy my own ewes two years ago and have been obsessed ever since. Lambing: In my holidays, which are longer than most, I spend a lot of time on my relatives’ farms nearby. They are both sheep and arable farms. I do find it hard though because I feel there is very little time to do what I am really interested in – farming. I also go down to Kington market regularly to see the lamb trade and sell my lambs. This year I have a 238 per cent lamb rate and I am looking forward to lambing them. When I can, I also go to my uncle’s farm nearby who buys store lambs to fatten up and help out. In the rest of my Easter holidays I go up to my grandfather’s farm in Wales where they lamb about 400 ewes. Young people: As I am at boarding school I do not have time to be in organisations like Young Farmers, so I think it will be hard to get into the industry in the future with no farm to inherit. I want to be able to encourage other young people to be interested in agriculture as I see it as such an important part to the industry. There are fewer young people wanting to go into the industry now and I think game consoles are a strong factor why; more games are coming out and people are stuck indoors. I was lucky enough my mum did not let me have a games console, which I think has made me who I am.